Expert System is a leader in artificial intelligence (AI) applied to text. Its patented Cognitive AI platform mimics the human ability to understand natural language with one of the highest accuracy levels available on the market. Insurers and reinsurers can increase efficiency, reduce costs and improve the overall quality of customer service. Expert System’s solutions have been deployed by leading companies such as AXA XL, Zurich Insurance Group, Lloyd’s of London, and Generali to automatically read and analyse vast quantities of information, decreasing risk exposure while reaching measurable business value, high accuracy and scalability. Willis Towers Watson is the world's leading provider of actuarial software and has been developing technology solutions for over 40 years. Its products are created by drawing upon the combined insights and expertise of more chartered actuaries and risk analysts than any other professional services firm. Willis Towers Watson helps more than 950 clients in 60 countries by combining innovative actuarial thinking with software expertise to help them measure value, manage risk and safeguard solvency. The Blockchain Insurance Industry Initiative, B3i, was founded by 15 re/insurers in December 2016 and joined by another 23 companies including brokers in October 2017. Its initial purpose was to explore the potential of blockchain to increase the efficiency of insurance transactions. 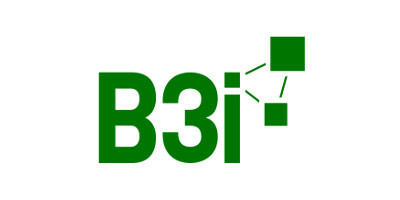 On March 23, 2018, B3i was incorporated in Zurich with a vision to create a re/insurance ecosystem enabling members to develop innovative products and services, and increase the relevance, accessibility and affordability of insurance for consumers. This ecosystem will catalyse the generation of new business models offering growth, efficiency and quality, and ultimately closing the protection gap. Cytora transforms underwriting for commercial insurance. The Cytora Risk Engine uses artificial intelligence to learn patterns of risk over time, enabling insurers to underwrite more effectively and deliver fairer prices to their customers. Cytora is a trusted partner to global insurers, backed by leading venture capital, and supported by builders of some of the world’s most successful technology companies. With a world-class team of experts in machine learning, risk modelling, insurance, and strategy, Cytora is powering the future of commercial insurance. e2Value is a full-service application development and technology provider that offers products to assist with asset valuation. Our tools can be used for collateral asset valuation, risk management, and predictive modelling. We offer full-featured, knowledge-based internet applications that enable consistency and standardisation of pricing, processes and procedures for all financial firms. Founded in 2000 and based in Stamford, Connecticut, e2Value is the leading SaaS provider delivering valuations for residential, commercial, and farm and ranch properties in the US and Canada. 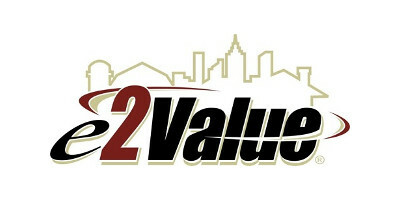 For more information, visit www.e2value.com, email sales@e2value.com or call 888-371-2788. 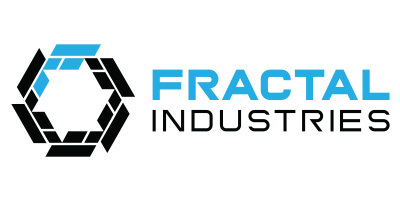 With offices in Reston, VA, New York, and London, Fractal Industries is a software firm that applies artificial intelligence to solve complex, real-world problems at scale. Its flagship offering, Fractal OS, is a next-generation data analytics-as-a-service platform that blends capabilities ranging from data fusion, analytics, reporting, advanced algorithms, simulations, and machine learning to enable timely, well-informed decision-making across the enterprise. 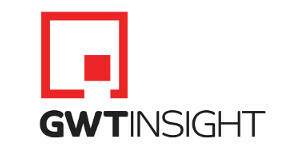 We are GWT Insight, we make visible what was previously hidden. Our internet of things (IoT) device breaks the barriers to cost-effective and comprehensive capture of data from old and new commercial buildings and what goes on within them. Cloud-enabled, near real-time and secure, our technology opens new doors for our clients to build innovative solutions, extend services, grow revenue and disrupt market segments. We create competitive advantage. We are GWT Insight. omni:us is a cutting-edge artificial intelligence (AI) company enabling the insurance industry to transform radically and adapt to today’s customer expectations. Our technical expertise is based on computer vision, semantic text extraction and natural language processing technologies. By combining these disparate but interconnected disciplines, omni:us enables insurance organisations to transition from a process-driven to a data-driven model. 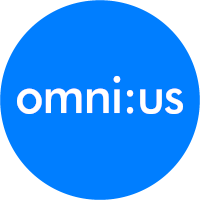 omni:us now has a diverse and passionate team of almost 50 AI and industry experts hailing from four continents. The company is based in Berlin. Digital Fineprint (DFP) is an-award-winning insurance technology provider that helps insurers and brokers solve the data challenges facing commercial insurance. By using AI and predictive analytics, DFP creates actionable insights for building profitable, long-term relationships with SMEs. DFP’s Risk Atlas suite provides a 360-view of real-time risk profiles and insurance needs for SMEs. DFP works with world-leading insurers such as Hiscox, QBE and Euler Hermes, and its technology is available through partnerships with Salesforce and DXC Technology. DFP was named ‘Best Insurance Industry Technology Supplier’ by Insurance Post and received the ‘Best UK Innovation’ award from Zurich Insurance. 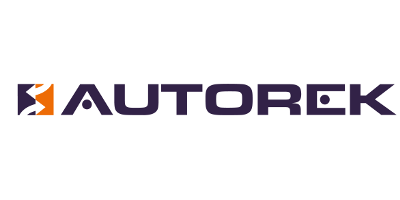 AutoRek is a global financial controls, regulatory reporting and data management platform. Our solutions allow insurance firms to fulfil their financial, operational, risk control and regulatory reporting obligations. From the London Market to leading health and life insurers, our suite of solutions has been implemented across the insurance industry on a variety of projects. Slice Labs is the insurance engine behind tomorrow’s cloud-based, on-demand digital services ecosystems. Through its Insurance Cloud Services platform, Slice is enabling insurers and technology companies to build truly intelligent and intuitive pay-as-you-go digital insurance products. As the power of data, AI, and behavioural science is a catalyst to further integrate on-demand insurance into major aspects of customer life cycles, the company announced Slice Mind, a new business unit and insight engine that makes use of AI/ML, data and behavioural science to create products and services that help companies with personalisation, experimentation, simulations, predictions, risk modelling recommendations and decision-making. Cytora transforms underwriting for commercial insurance. The Cytora Risk Engine uses artificial intelligence to learn patterns of risk over time, enabling insurers to underwrite more effectively and deliver fairer prices to their customers. Cytora is a trusted partner to global insurers, backed by leading venture capital, and supported by builders of some of the world’s most successful technology companies. With a world-class team of experts in machine learning, risk modelling, insurance, and strategy, Cytora is powering the future of commercial insurance. We offer full-featured, knowledge-based internet applications that enable consistency and standardisation of pricing, processes and procedures for all financial firms. Founded in 2000 and based in Stamford, Connecticut, e2Value is the leading SaaS provider delivering valuations for residential, commercial, and farm and ranch properties in the US and Canada.